Provide Support is glad to announce a new Live Chat with WordPress integration. 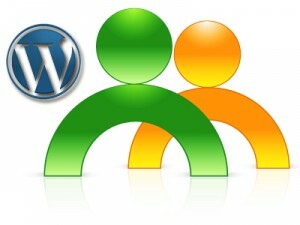 From now on WordPress users will be able to install Provide Support Live Chat on their websites fast and easily. But why is it important to offer Live Chat assistance to users? Click-to-chat tool has the great ability to increase conversion rates by offering customers instant access to a live support representative while they are browsing your website. Building a strong customers loyalty, engaging and convincing new customers as long as upselling those who are already in the decision-making phase is another great advantage of Live Chat option. Just three easy steps and your WP website is equipped with cutting edge communication technology. That’s it, you are ready to log into your operator console to appear online and start offering instant Live Chat assistance to your customers. Flexible options for your chat button or chat link displaying – on specific pages, posts etc. Ability to utilize shortcodes is the best option for advanced users and will let you place a chat button anywhere on the website. [providesupport] shortcode can be used for showing the button or link within the posts or pages and do_shortcode (‘[providesupport]’) can be utilized for integration with the website source directly and will let adding the button or link to some specific position on the page. Recent trends show the growing popularity of Live Chat and more online shoppers reply on it as on a primary communication channel. Live Help tool will put your business ahead of your competitors and very soon after implementation your will enjoy higher customer satisfaction rates and increased sales. This entry was posted in News and tagged live chat and WordPress integration, WordPress Live Chat, WP integration. Bookmark the permalink. The Value of the Feedback. How Running Customer Survey Impacts Your Business.